Shaunna & Andrew braved a sunny yet 15 degree January day to elope at Boston City Hall. 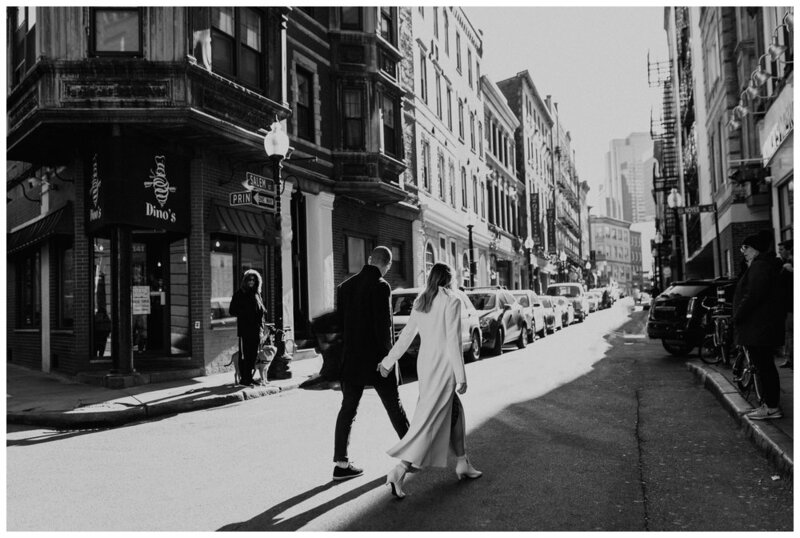 They are planning an intimate destination wedding in Europe in the spring, but wanted to make it official in the States first - and celebrate just the two of them! It was a SECRET - none of their family or friends knew, so I made sure to send them sneak peeks that same day so they could make the announcement without waiting any longer! They wanted to be as non-traditional as possible, sporting a cozy winter sweater and a tiger print dress. Shaunna & Andrew posed on the street corner where they made the decision to move to Boston 3 years ago! The North End is a very special place to them, so we made sure to stop into Bova Bakery for some newlywed cookies.